Are you ready for an amazing cover reveal!?! Dee Krull is a retired clinical hypnotherapist. 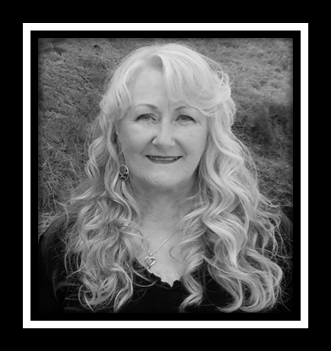 She has a PhD in Clinical Hypnotherapy, specializing in Medical Hypnosis for which she spent twenty-five years in private practice in Southern California. She and her late husband chad retired in Tucson, Arizona in 2005 where she explored art, music acting, and writing. She has three children in Southern California, one who sdoped her in Sparks, Nevada and seven grandchildren. “The Saga of a World Called Htrae” was insired by her late husband’s love of science fiction and her own inquisitive nature of “what ifs.” It is a combination of science fiction, fantasy and her won knowledge of hypnosis. Dee Wrote the first book in Arizona. When she decided to place the beginning of her story in Arcata, California it rekindled her love of the Northwest where she now lives with her boyfriend, Bob, and their family of pets; where she is busy writing her next book in the series. Let's take a look at the book before we see the cover! 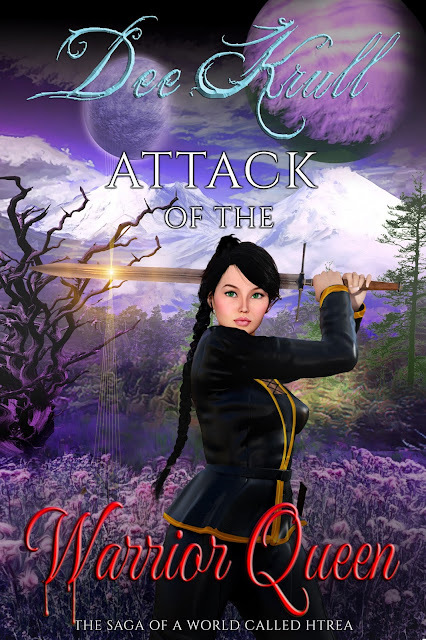 "The fourth book in the series finds Laurel and Learden waging a deadly war with the aliens called priests.They are now using the portals to bring in another alien they call the 'tall ones' who communicate through their thoughts. To make matters worse she finds that her mother's sister, once thought to be dead, is alive and well and is a master of dark magick. she would have Laurel as her slave and her army at her command if she could gain the upper hand. In order to keep her from doing just that Laurel and Learden must separate so the 'dark witch' cannot use Learden to gain access to Laurel and her Guard. Apart they are devastated and must move on their own to combat the aliens. Learden connects with his past and fights the aliens the only way he knows how, with his old crew and a few new ones as well. Laurel and, Banrion, the giant white griffin, fight together from the sky while Learden fights on land and finds other ways to communicate with her. But when the aliens gain the upper hand Laurel is captured by a new faction of Elves and eventually finds new allies through them. They also help her search for Learden. Meanwhile Learden is captured and escapes only to discover there is another danger to the planet and it's daoine, one that has been there before and they are more fearsome and evil than even the aliens who are preparing to bring them through the portals." Aren't you so excited about this book? Come follow along with this great event and see all the blogger participating in this cover reveal over on Facebook.